I grew up in a medical family. With a physician father, I was exposed to medicine all my life, and I have always been excited about what surgery has to offer. My family emigrated here from India when I was three years old, and I grew up in the thumb area of Michigan. I have a background in heart and lung transplantation, and my specialties include open heart surgery, including coronary artery bypass, heart valve repair and replacement, arrhythmia surgery, cardiac assist device placement and thoracic aortic surgery. I treat my patients as I would my brother, sister, mother and father. 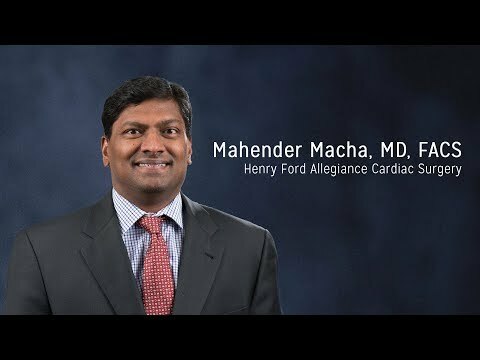 I am part of a very dedicated team here at Henry Ford Allegiance Cardiac Surgery, and I am grateful for the opportunity to work with them.